We're not quite done with Asian-American and Pacific Islander Heritage Month here on KMWW - there are still a few more characters to go! But helping us get there again is Trey Stewart, bringing us some awesome commentary on Alex Parrish from the hit show Quantico. Alex seemed like a character we should talk about, since she's one of the first Asian-American female characters to lead in a prime-time drama. So, take it away Trey! In my earlier post on Nimah and Raina Amin, I didn’t go into much detail on the show Quantico itself. For better or worse, the Amin sisters are not the main characters of Quantico. That honor goes to Alex Parrish (played by Priyanka Chopra), the subject of today’s Strong Female Character Friday. Before talking about Alex Parrish, though, it's worth taking the time to talk a bit about Priyanka Chopra, the actress who plays her. Priyanka Chopra is the former Miss World, a musician, and one of Bollywood’s highest paid actresses. She has been in around fifty films and has won close to one hundred awards. It is fair to say that Angelina Jolie is the American Priyanka Chopra, not the other way around. So with a background this fantastic and impressive, how did Chopra end up starring on a network drama about terrorists? Originally, Alex Parrish wasn’t written to be an Asian-American character. The story of how she became Asian-American is worth telling because it highlights one of the ways that television, and other forms of media, can become more diverse. 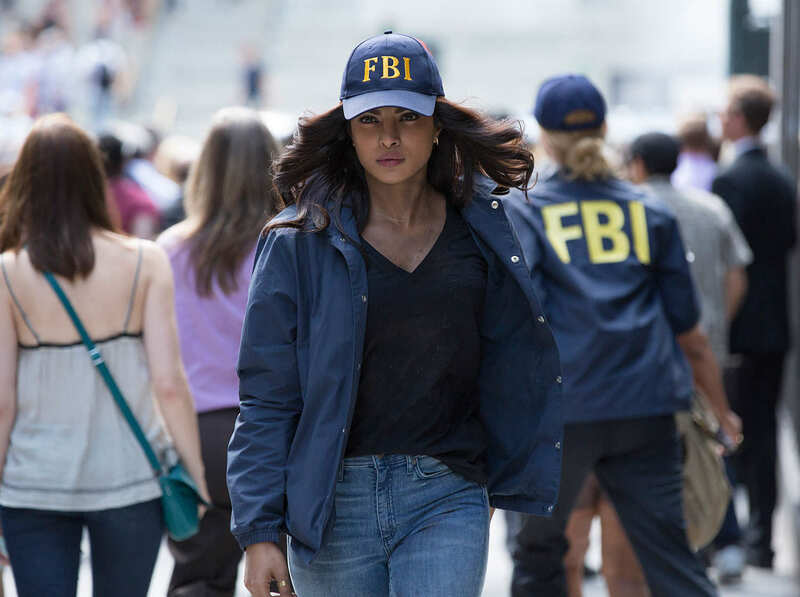 In this case, the diversity of Quantico was the direct result of intentional action by Anjula Acharia-Bath, an Asian-British woman who has built a business focused on fusing Asian and American pop culture. The goal of this fusion is to create fewer stereotypical and more positive representations of Asians in American media. Acharia-Bath worked with an executive at ABC to bring Chopra to the network and ultimately to Quantico. The show itself is based around the premise that our protagonist, in this case Alex Parrish, is accused of a crime that she did not commit. The twist, however, is that the crime she's accused of is terrorism, and her status as an Indian-American woman makes her a suspect even before the damning evidence starts pointing her way. Quantico isn’t particularly original in this premise. Similarly, Alex Parrish herself isn’t all that original as a hyper-competent FBI agent. But to the degree that most television shows are somewhat formulaic, unoriginality isn’t necessarily a bad thing. In fact, Quantico uses a fairly common premise to do something far more rare than it should be. If you're watching a show about a time-traveling alien, a centuries-old immortal fighting other immortals, or the best medical diagnostician ever, your main character could have any race, ethnicity, gender, or sexual orientation and the set-up of the show would be affected very little. Chances are good, however, that the protagonist of such a show is not only white but male and heterosexual as well. By contrast, Quantico takes a premise that could have anyone as its main character and focuses on an Asian-American woman. Even more, it specifically focuses on an Asian-American woman with brown skin. By bringing race into the show early on, it makes it a topic for discussion and forces the audience to push past stereotypes about "Arab men" being terrorists, and in so doing kind of fights Islamophobia. 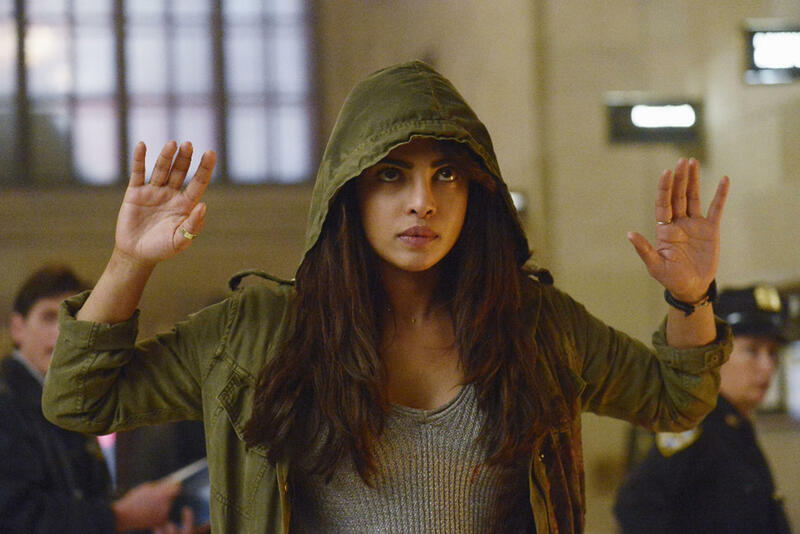 Since anyone can be a terrorist, most anyone could be the villain of Quantico. Or the hero. And when I say hero, I do so intentionally. Alex Parrish is probably the most skilled FBI agent to ever agent, is driven to pursue truth, and is literally described as a "champion" in one episode. She's amazing, a hero to the underdog, a shining beacon of the awesomeness to which we as humans can aspire. Unfortunately, to the extent that Alex embodies a heroic ideal, she is less of an actual character. This brings us to the unfortunate underbelly of Asian-American representation on television: the lack of nuance. First off, the show might be breaking rules by having a South Asian heroic lead, but it does seem to try to bury the lead on that. Parrish is half-Indian and half-white, but we are told far more about her white father than we are her Indian mother. We basically only know that Alex Parrish is Asian because Priyanka Chopra is Punjabi-Indian and Alex’s mother is named Sita. If Chopra were not so visibly, well, brown, it is questionable whether the show would have tried to whitewash her Asian heritage away altogether. Several times, this blog has mentioned television’s obsession with white man pain. While Quantico has a protagonist that is neither white nor male, the show is similarly drowning in white man pain. Alex Parrish’s father Michael was, unknown to her, an FBI agent. She found out that he was an FBI agent around the time she shot him to death to protect her mother from his drunken rage. Killing your own father would cause any reasonable person to feel guilty. This guilt, though, was compounded by the fact that her father was an FBI agent and, possibly, in other aspects of his life quite altruistic. All the stuff that Alex goes through over the course of the season is because of her father's White Man Pain. I'm not sure how I feel about this. On the one hand, it makes sense of the early episodes of the season in which it felt like there was a conspiracy to not only label Alex a terrorist but utterly destroy her as well. This can be traced back to her family history, okay, sure. And making the real villain a white male FBI agent gives a villainous face to the racism in the FBI, allowing him to be brought to justice by this brown South-Asian woman. However, I feel like the show missed an opportunity to create a villain who was a person of color, a woman, or a woman of color. Like Sameen Shaw, Alex Parrish is interesting, in part, because the stereotypical face of terrorism is fighting terrorism. Throughout the season, the mysterious terrorist framing Alex came across as a surprisingly skilled manipulator of not just Alex Parrish but other agents as well. Making the villain one of her teachers goes a long way toward explaining that. But making the villain an angry white dude - who could have resigned, become a whistleblower, or just shot Alex - is boring. As it happens, the real life FBI is very white. The characters on Quantico are reflective of this fact. Based on the cast list on the ABC website, white men are the largest demographic group among the characters. There is one white female character. Half of the main characters are white. Then again, half of the main characters are women of color. While there are men of color in the cast, none of them are main characters. What does this mean for Alex herself? Mostly, it means that, in defiance of the Bechdel and race tests, Alex’s allies are largely white men. Her story and role in the show is largely defined by her relationships with white men. It's not that Alex doesn’t have friends among the people of color on the show, it’s more that this aspect of the show is less prominent than it could be. Beginning while she is at Quantico, Alex’s best friend is a white woman and her romantic relationships are with white men. And in the end, the heroic sacrifice that saves the day is made by a white man. Even with these problems, though, Quantico is still more diverse than most shows on television today. And while the women of color on the show aren't necessarily involved in Alex's plot, they do still get some cool moments and stories. So the general gist is that, while good, Quantico could be a lot better. Alex Parrish is the first South Asian woman to be the protagonist in a prime time drama. 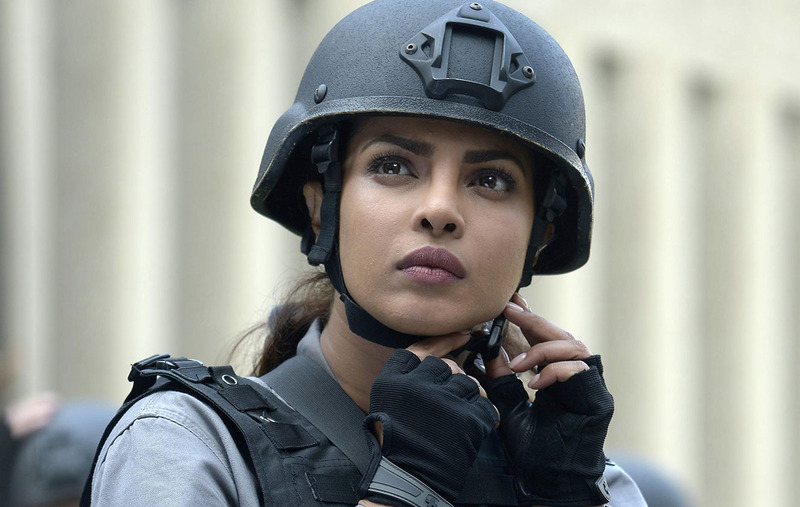 Quantico is even more notable because it doesn’t seem to be particularly aimed at a predominantly Asian-American or female audience. In other words, Alex Parrish, just by existing, is a powerful statement of diversity and inclusivity, because her status as the lead character on a major prime-time network drama subverts the old Hollywood idea that shows about minorities are only for minorities. But female characters need to be more than just good diversity headlines. They need to be characters and people too, with flaws and stories that relate to their own growth, not just that of the white men around them. Why does this matter? I wonder what sorts of media we would get if creators started intentionally creating diverse media. Maybe movie and television writers could create works in which the characters could be of any race or gender. Then the role could go to the person with the best audition. Comic book creators could do things like ask themselves: Does my story pass the Bechdel and race tests? Am I writing characters or diversity headlines? In my previous post on Raina and Nimah Amin, I mentioned that I'm enjoying Quantico for now. After having stuck with the story of Alex Parrish for an entire season, I can say that I am willing to see where the show goes in season two. They seem to be setting up Alex’s nemesis for season two to be the female vice-president of the United States (played by Marcia Cross). It should be interesting. If nothing else, it will address the problem of Alex only really interacting with white male characters, but it remains to be seen if this is a problem the show is even interested in fixing. Alex Parrish is a fantastic character on paper, but in order for her to really become the symbol of change we so want her to be, she needs her own voice and her own story. She can't just be a prop in a white man pain narrative, she has to be active on her own as well. So here's hoping that season two can deliver. Trey Stewart has his PhD in Educational Psychology from the University of Alabama. He recently started his own education research consulting/tutoring business. He's pretty sure he'll give Quantico another season to get its head on straight. It would aldo be great if, just once, character on television were allowed to have a last name you wouldn't find in an English graveyard. This is really an incredible show and Priyanka played it very well I am thinking to watch it again on internet.